***BOOKINGS*** sychovibes@gmail.com bookings : 2015 14 fevrier burning party with neelix,moakai,kipi vibration and noise adict 20 juillet sonlibre festival 29 octobre karmakusala festival 29 novembre psykoze with kokmok,hyperfrequencies,tilt,cubic spline… 20 décembre solaris bordeaux 20 juin 2015 outrance lyon with hattikwa and orca 14 aout 2015 gaia concept & neotek spirit paris 2016: 7 novembre prog attack carpentra 16 janvier project moon 16 avril solaris party with cokleeko and diskal 2018 : 5 janvier - spirit party with mangoz project and more 21 juillet - stone moon festival 15 septembre - moon maya with day din ,bionix and more 2 november - full spirit with vini vici lyon Cedric is involved in the electronic music mouvement since 10 years. After meeting Jean Michel Jarre at an electronic music contest at the age of 16, he started writing trip hop and electro tracks , while learning sound engeneering in a french school. 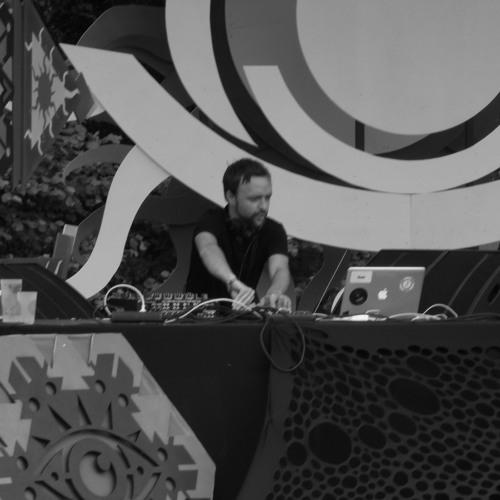 Then he built his home studio and launched his first psytrance project Sychovibes, which is very influenced by morning psytrance bands like sonic species, outsiders or imaginarium. Member of Terraformers band (Dropland rec) he used to work with Total Eclipse and David Shanti. He has two other projects. The first one called Sychodelicious (Neuromind rec, geomagnetic rec ) is a night full on project. The last one called Electit is a progressive trance project (spiral trax /sting /magma rec ) and now with miloon a killer percussionist OTHER RELEASES FROM:	Sychovibes NEWS : SYCHOVIBES comes back now with new productions and prepare his 4th upcoming album " positiv vibes " soon on geomagnetic records !